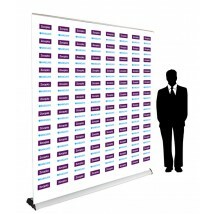 We have put together a range of custom printed step and repeat banners available on a choice of different display frames. 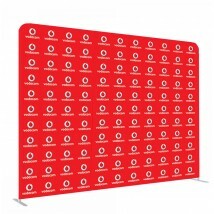 Our step and repeat backdrops can have your custom logo or branding on them, making them ideal for promotional events, red carpets, exhibitions, retail spaces and much more. 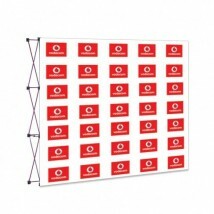 Our step and repeat backdrops are the sort of thing you see celebrities and sportspeople stand in front of when they are being interviewed. Step and repeat banners are printed in house using state of the art equipment. 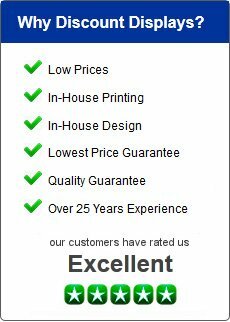 We only need you to send us the high-resolution logos and we will do the spacing and layout to create the step and repeat banner. Our systems range from a budget entry level banner stand that would be ideal for a competition for an experiential shopping event or a more advanced truss system that could be used on a red carpet style interview. All our systems are portable and easy to erect. 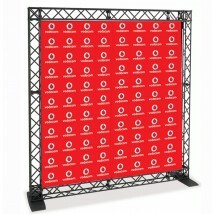 Once you have invested in the framework replacement banners can be provided if the event of sponsors change.